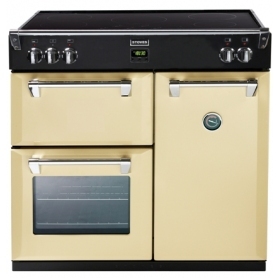 This Zanussi cooker is the perfect choice for your kitchen, thanks to its stylish stainless steel finish, great energy rating and large capacity. 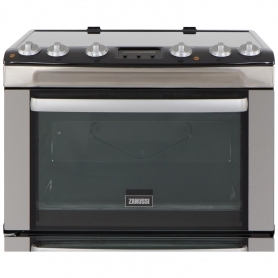 As a double oven model, the ZCV667MX is designed for cooking several dishes all at once. This makes even the trickiest meals easy to prepare. The fan operated main oven uses Zanussi’s ThermaFlow technology, which ensures the smell of one dish doesn’t transfer to another. This fan lets you cook quicker and use less electricity, which maximises energy efficiency. 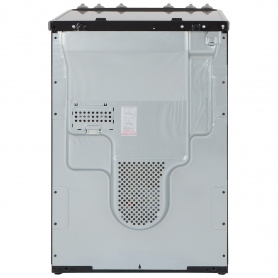 It’s no wonder the ZCV667MX has been awarded an A energy rating. The four ceramic zones on the hob come in two different sizes. This gives you excellent control over everything from boiling a pot of pasta to warming a sauce. 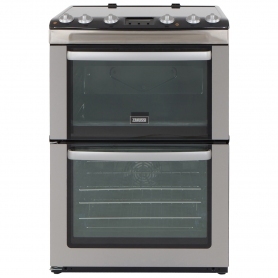 The top oven is handy extra space when you’re cooking for the whole family, and is great for timing large meals with lots of dishes. 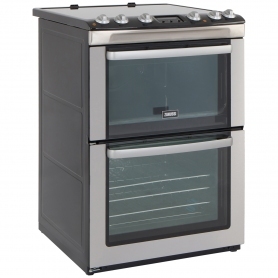 It also features a full-width grill pan, which is perfect for melting cheese, grilling paninis or browning the top of a cottage pie. 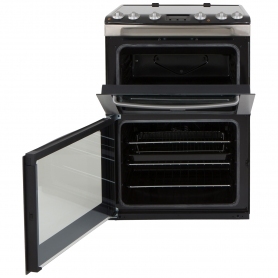 Interior lights in both ovens help you keep an eye on your food, without having to open the door. The double glazed doors save energy and make the ZCV667MX safer by reducing the external temperature – perfect if you’ve got young children around. There's nothing worse than cleaning out a dirty oven, which is why Zanussi gave the ZCV667MX an easy clean interior, made from sturdy enamel. This takes the time and hassle out of keeping the cooker clean. Zanussi have a reputation for creating high-quality home appliances. 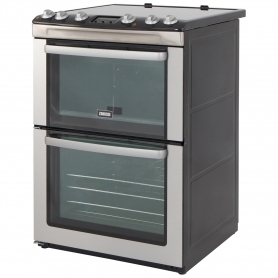 All the ZCV667MX’s features have been carefully designed to make the perfect family cooker. Order yours today, or for more information get in touch with our friendly team.